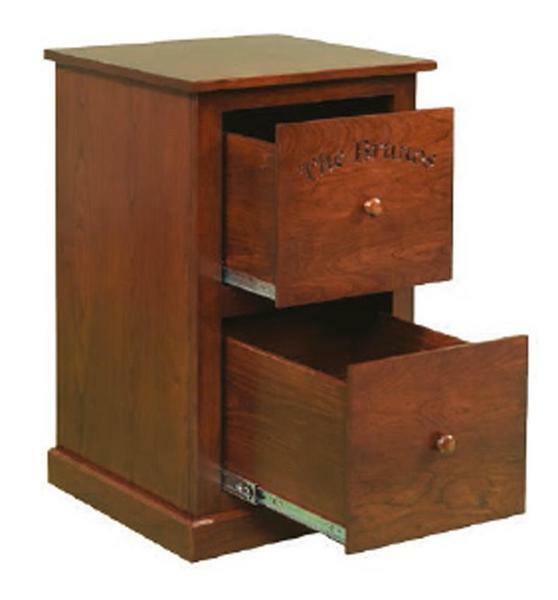 Handcrafted with pride by professional Amish furniture artisans, this mission style file cabinet has an optional feature that most others don't. This skillfully crafted file cabinet can have a custom engraving added onto the front of one of the drawer fronts for a nice personal touch. Order yours today and enjoy the premium quality of your new personalized mission style file cabinet from DutchCrafters.